Our permanent housing projects are designed to provide safe and secure housing options to specialized populations in need. Once our residents meet the application criteria, they are offered a yearly lease and may stay as long as they are abiding by that lease agreement. Rent for these programs are generally based on 30% of income and residents must be 50% below area median income to qualify. Our tenants are monitored by our housing coordinator and provided with supportive services as needed, with the ultimate goal of insuring that our tenants can remain in independent housing that is suitable for their specific needs. 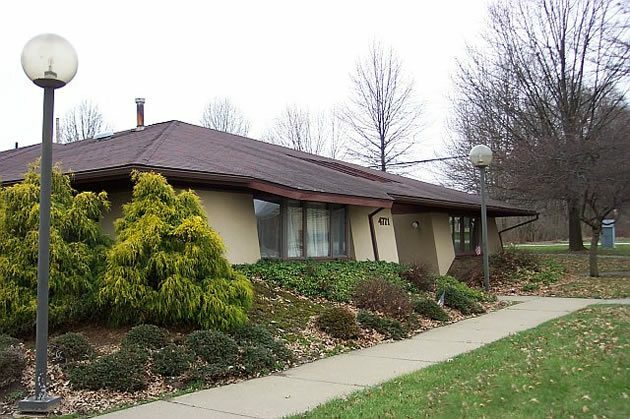 Cardinal’s Peak is located in Cuyahoga Falls and is home to chronically homeless with a long-term disability. The project has 14 units of independent housing for homeless, single, low income individuals. View Photo Gallery. Meadowlark Lane consists of 15 units of independent housing located in Lakemore and Cuyahoga Falls. This program is for people with co-occurring disorders, recovering from dependencies and/or other disabilities. Residents must have six months documented recovery to qualify for this program. View Photo Gallery. 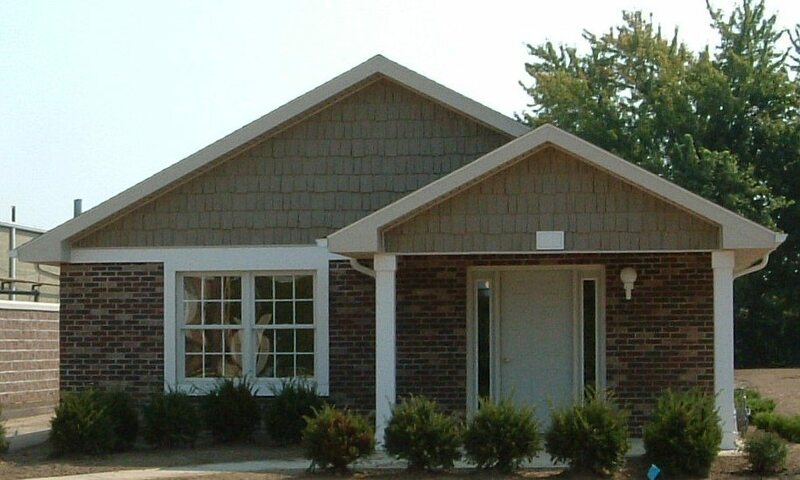 Pheasant’s Run & Quail’s Nest are group homes for single men and women, which accommodates up to 8 people total. This program is designed for single, dually diagnosed individuals who benefit from the educational, social and health services provided by our case managers. View Photo Gallery. Blackbird Landing and Blue Heron Way follow OMCDC’s successful housing first model that provides independent, furnished apartments to single, homeless individuals in need. Residents must be diagnosed with a mental or physical disability to be eligible. These projects provide rent subsidy, utilities and furnishings in 21 scattered apartments around Summit County. Brambling Path consists of 9 one-bedroom units in the Kenmore area of Akron. Residents must have a diagnosed disability and be in recovery. 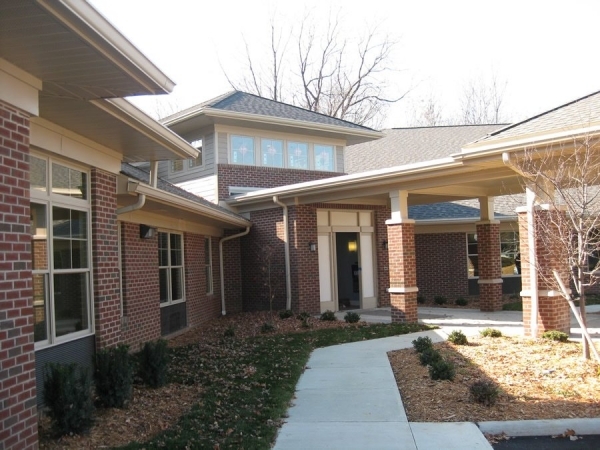 Covington Gardens is a housing program owned by OMCDC’s parent organization, Community Health Center Foundation. Located in Cuyahoga County, this complex is a Tax Credit Project and is designed for low-income individuals and families, consists of 14 apartment units. Fox Drive I and II are housing projects designed to support single individuals dually diagnosed and living with HIV/AIDS. Located in the City of Akron, these homes serve as housing for eight individuals while they participate in supportive services in the community. Community Health Center and local HIV/AIDS organizations will provide services for treatment and case management to residents at Fox Drive. Residents must have a documented period of sobriety and be participating in a recovery program. 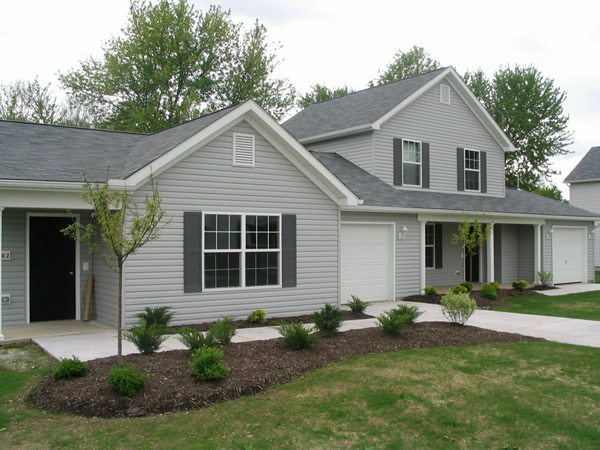 Nazareth is a housing program near Columbus Ohio for low-income individuals and families. This 211 unit apartment complex is a Tax Credit Project with OMCDC as a minority owner. Nela Manor is an historic restoration housing project of OMCDC & Community Health Center Foundation. These 35-units of one, two and three-bedroom apartments are located in three buildings located on West Market Street in Akron and serve as the southeast anchor of the Highland Square Historical Improvement Project. Each unit has been substantially remodeled to return this historic landmark to its 1935 splendor. Originally designed as garden apartments in the early 1900’s, this complex is designed to provide quality housing to low-income families. Nela Manor adds historic value to the community, and enhances the historic improvement project by greatly improving security and reducing criminal activities in the Highland Square Corridor. Nela Manor Apartments are subsidized through project-based Section 8 certificates. The building is staffed by a professional on-site management and maintenance staff and is a unique and lovely addition to a terrific area. Our property managers determine eligibity and rent based on household’s gross income and is managed in accordance with Low Income Housing Tax Credit Regulations. Peachtree Estates II and III, located in Cuyahoga Falls, are permanent housing project designed to reunite families of female adults who are single and the head of their households. Parents in this program must have a diagnosed disability. The program is designed to assist homeless parents in seeking new employment, nurturing their children, and most importantly remaining healthy. Each family has a 2 or 3 bedroom home that provides a stable environment. Residents may live in phases II & III permanently as long as they are abiding by their yearly lease agreement. Phase II & III offer 14 units and a community room. View Photo Gallery. Summit Terrace is a 21 unit facility in Akron and provides housing to those that have co-occurring disorders or a disability. All residents live in independent, one bedroom apartments. Wren’s Way is 14 units of permanent housing for individuals with developmental, physical or mental disability in Wayne County. This permanent housing development will fulfill the need for safe, secure and dependable housing for this population in-need. All tenants are required to be current residents of Wayne County. Wren’s Way is located in a fast-growing area of Wooster, Ohio. Within a mile radius, one can find several shopping and grocery centers, major medical facilities, numerous houses of worship and a variety of recreational activities. View Photo Gallery. Portage Horizon is a program in collaboration with Portage Metropolitan Housing Authority. The program is designed for six low-income young women, ages 18-24 that are in need of safe and secure housing. We encourage residents to complete their education, whether that is high school or post secondary training/college, seek and maintain employment, and plan for their future beyond Portage Horizon. A resident advisor will also live on site to mentor residents and ensure program compliance.